2018 is the fourth iteration of Prime Cut’s groundbreaking Artistic Development Programme Reveal funded through Emma Jordan’s Breakthrough grant from the Paul Hamlyn Foundation. The programme has evolved over this period and has delivered bespoke development plans with, and for some of the most exciting, original and innovative artists working in Northern Ireland. The programme has enabled artists to attend theatre festivals in Berlin, Ghent, Brussels, London, Paris and Edinburgh, to network and collaborate with peers and engage with renowned theatre practitioners like Andy Smith, Ruth Little and Michael Murfi. The programme has supported the development of Patrick O Reilly’s The Man Who Fell To Pieces, Oona Doherty’s Hard To Be Soft -A Belfast Prayer, Sarah Gordon’s A Sinkhole In Guatemala, Pan Naran’s My Left Nut, Fionuala Kennedy’s That Look and Rhiann Jeffrey’s directorial debut Mydidae. Mentorship and development opportunities have been further enhanced with producing support for Oona Doherty’s International co-production of Hard to Be Soft and Michael Patrick and Oisin Kearney’s Irish and UK tour of My Left Nut. Fionnuala is a playwright theatre-maker living and working in Belfast. Fionnuala’s first play ‘Hostel’ (produced by Kabosh 2011) has toured for three years to a range of hostels, community centres and theatres. This play exploring sheltered accommodation for young families has been commissioned by different organisations including Simon Community NI, First Housing and Welcome Organisation to raise sensitive issues about homelessness and human rights. Fionnuala was privileged to be writer on ‘Closer’ for Replay Theatre Company, a multi-sensory show for young PMLD audiences (2014). Fionnuala has also written ‘Hatch’ (2013), as part of Accidental Theatre’s ‘Fast & Loose’ Programme. She co-wrote ‘Love For Sale’ (2013), an adaption of Charles Bukowski’s short story ‘Love For Sale $17.50’, as part of the Belfast Book Festival. In 2014, she co-wrote and directed ‘The Glass Bell’ as part of the Pic N Mix Festival, looking at childhood memories of The Troubles. She was also commissioned by Terranova Theatre Company to create a short piece looking at Northern Ireland as a multicultural society, for their ‘Arrivals’ project. Fionnuala’s play ‘Hatchet’, explored racism and homophobia in Belfast and was told by a young black Belfast teenager (2015). For Kabosh Theatre company she has directed ‘Shankill Stories’ by Seth Linder, ‘Collecting Cultures’ by Carlo Gebler and Rosemary Jenkinson, and ‘Wonderwall’ by Rosemary Jenkinson, a cross-community performance project with young people, staged at the North Howard Street peacewall. Fionnuala is currently developing a piece called ‘Entitled’ looking at the impact and inequality of welfare cuts. Oona Doherty is a Dance Artist based in Northern Ireland. Oona Studied at The London School Of Contemporary Dance, University of Ulster and LABAN London. BA Honours and Post Graduate in Contemporary Dance Studies. She has been performing Dance Theatre internationally since 2010. With Companies such as :TRASH (NL) Abbattoir Ferme (BE) Veronika Riz (IT) Emma Martin /United Fall (IE) Enda Walsh (UK). Sarah Gordon is a Belfast based artist and maker. She studied at Dublin's NCAD and Hochschule Luzern. She received graduate residency awards from Blackchurch Print Studio and Belfast Print Workshop. She has completed residencies in Canada, Mexico and Texas, and an internship with the Metropolitan Museum of Art in New York. She works in theatre and film. Sarah's first play A Sinkhole in Guatemala premiered at the Dublin Fringe Festival in 2016 and was shortlisted for the Stewart Parker Award. 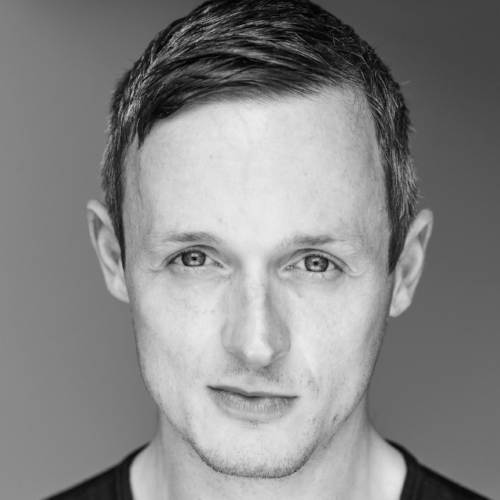 Michael is an actor and writer from Belfast, and runs Pan Narrans Theatre with Oisín Kearney. Michael is the performer and co-author of My Left Nut which was developed with assistance from The Prime Cut Reveal Programme. My left Nut was nominated for the best show under one hour at the Dublin Fringe Festival 2017 and is touring all throughout Ireland in 2018. Michael will soon begin writing his second play with Oisín through Fishamble's A Play for Ireland Scheme, in conjunction with the Lyric Theatre. Caoileann is a Belfast-based theatre-maker and playwright. She has worked in theatre in various roles for nearly 20 years: as an actor, facilitator, stage manager, teacher and academic researcher. Alongside her writing, she teaches Drama at Queen's and worked as a dramaturg (including on Prime Cut's Red, winner of the Irish Times Theatre Award for Best Production). She has a PhD on the theatre of Stewart Parker; her research focused on Parker's use of performativity and theatricality to interrogate versions of our shared past and to envision potential new versions of the future. The theatre which she creates is shaped by her perspective as a mother of three young children, a partner, a daughter, and part-time carer for a parent with dementia. She is originally from Newcastle, County Down, studied in Dublin and Belfast, and lived in Oxford for ten years before returning to Belfast in 2016. As part of the REVEAL programme I am developing a play which explores the role of literature, poetry and language in the generation of the sense of self and our understanding of our past. It plays with poetry and language in performance to explore the destructive effects of dementia and the fortifying and sustaining power of language. Oisín originally hails from Warrenpoint. He studied Politics at the University of Cambridge before training in film and TV production with the BBC and Northern Ireland Screen. He works in documentary and film production, most recently as as Assistant Producer on 66 Days, and as Associate Producer on Elián. I, Banquo (Director, 2015, Naughton Studio, Lyric Theatre, Belfast). Patrick trained at the Le Coq International school in Paris and is an award winning writer and Artistic Director of Tinderbox in Belfast. Cabaret (MAC theatre) The Nose, Irish Tour (Bruiser theatre company) Hatch, adventures of the Ugly Duck (The MAC 2013) The Conquest of Happiness; World Premiere, (Prime Cut Productions;Directed by Emma Jordan.) Wobble (Irish Arts Centre NYC, Replay Theatre) Assault Events; The Comedy of Errors; (Lyric Theatre) Wobble; Replay/ Assault Events,Hecuba (Kings College London) The Jungle Book ( Movement Director, Lyric Theatre) The Resistible Rise of Arturo ui, Oh what a lovely war!, (Candide) Lady Windermeres Fan and The Canterbury Tales (Bruiser Theatre Company) The Hypochondriac- t, Bah, Humbug! (At the Lyric Theatre Belfast) Midsummer night’s dream (Creation Theatre Company Oxford) Carnival (Kabosh) Macbeth (Replay Productions). In 2010 Patrick was awarded the Stewart Parker BBC Radio Drama Award for The Weein with Red Lemon Productions. He has directed The Man Who Fell to Pieces, Ignition and What We’re Made Of, Hubert and the Yes Sock and Famla for Tinderbox Theatre Company.